There may or may not come a time in your life when you need to record a phone call. While we won’t get into specific reasons as to why you may want to do this, we will say this: it’s super easy. Let’s do this. While there are a variety of ways you can record a phone call, we’re going to focus on two different methods here: Google Voice and an app called Call Recorder – ACR. Before we get into the how, let’s talk about the potential legal issues that could arise here. I know, I know, this is something you don’t want to hear, but it’s important and we have to do our due diligence to make sure you know what’s up too. First and foremost, recording phone calls isn’t legal in all countries, so you’ll need to have to check regulations in your area. To get a bit more granular, it can also vary according to your specific state in the US—some require both parties to know that they’re being recorded, while others only require that one party knows what’s happening. The latter can get a little gray, but assuming you live in one of those states and you know that the call is being recorded, it’s probably safe. It is always unlawful for public phones to be recorded without consent, however. For more info on that, you can check Wikipedia, as well as the Digital Media Law Project. If you’re a Google Voice user, this is super easy. If not, well, you can always set up a Google Voice account and become a Google Voice user. Then this method will be super easy for you, too! Yay. Before you can actually record a call, you have to first enable the call recording feature. You can do this on both the web and the Android app, and the steps are essentially the same either way. 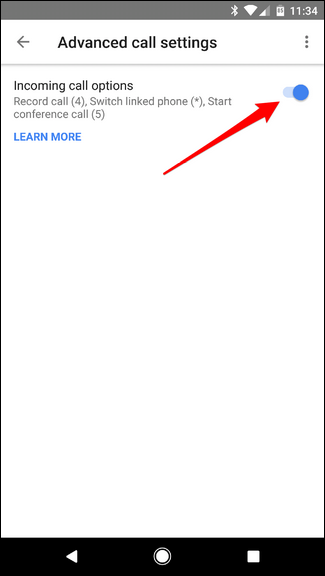 I’m using the web here, but I’ll specify if something is different on the Android app. On the web, click on “Calls.” In the Android app, just scroll down until you see the Calls section. 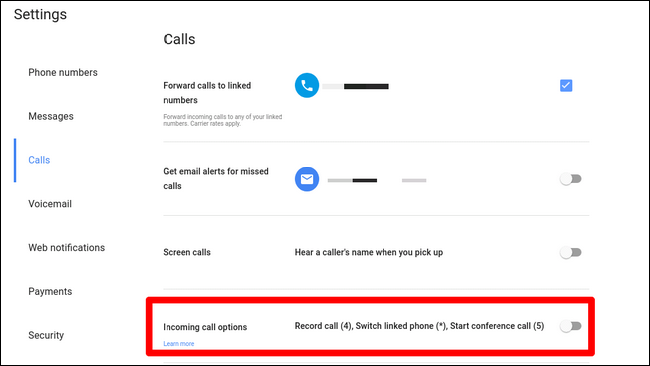 The last option on the web is “Incoming Call Options,” which is where you can enable the feature to record calls or start a conference call. Use the slider to enable this. 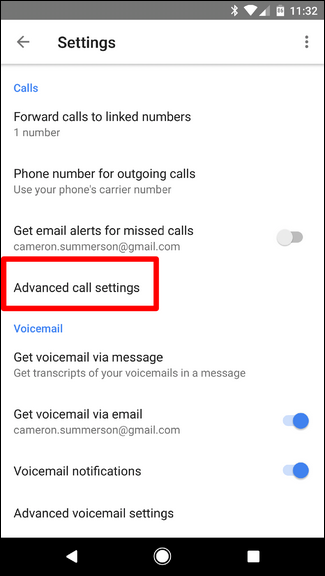 In the Android App, you have to tap on “Advanced Call Settings,” then enable Incoming Call Options. It’s also worth mentioning that this feature is synced across devices, so you only have to do it in one place or the other—once enabled, it’ll work anywhere. However, it will only work if the person calls you—you can’t record a call when you’re the one who initiated it, which is honestly just kind of strange. Either way, the next time you need to record a phone call, simply tap “4” on the keypad during the call. An audio prompt will let both users know the call is being recorded. To stop recording, just tap “4” again—another prompt will state the recording is off. 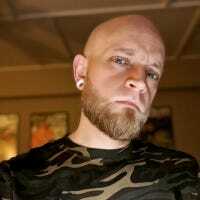 The audio file will then be saved to your Google Voice account. Booya. 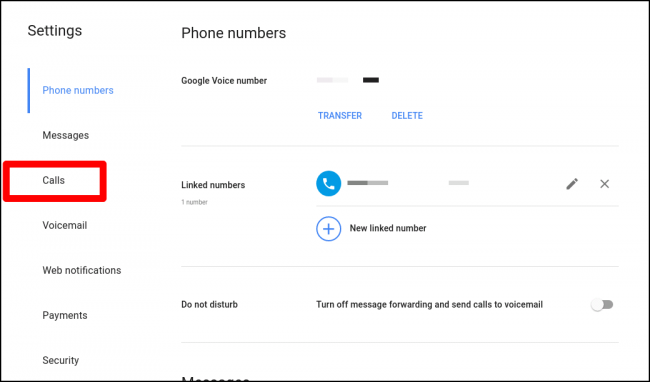 While using Google Voice is simple and straightforward, it’s also lacking some features many users want, like automatically recording calls as soon as they are started. That’s where ACR comes into play: not only does it have more features, but it doesn’t notify both users they’re being recorded, either. So if you’re looking to secretly record a call, this is the tool you want. There are two versions of this app: free and premium. The latter removes all ads from the app, as well as adds a handful of useful features, like the ability to record by contact, start a recording in the middle of a conversation, save recordings in Dropbox or Google Drive, and a lot more. As always, though, I recommend trying the free version initially to make sure it fits your needs. Right after you fire up ACR, you’ll have to accept its terms—a rather lengthy list compared to most apps, but rightfully so. After you accept the app’s terms, you have to give it all the requisite access it needs to do its thing: contacts, microphone, phone, and storage. Nothing out of the ordinary there for an app like this, so go ahead and allow it across the board. From there, the app will push a notification to the shade showing that it’s enabled. The second you make or receive a phone call, it will start recording. You literally don’t have to do anything—it records all calls by default. There are a lot of options in the menu, but scroll down until you see “Start recording” and change it to Manual. Done. There are a lot more features under ACR’s hood, so I definitely recommend digging into it if you’re looking to do more than just simply record conversations. Again, keep in mind that you’ll have to pay for the more advanced functionality, but I think it’s easily worth the $3 asking price if it’s something you’ll use often. Plus, it’s really well designed, which can be hard to find in a store chock-full of dozens of apps that do similar versions of the same thing.